Tuatara Capital’s recent success at raising a record $93 million for marijuana industry-related investments signals that deep-pocketed investors increasingly are embracing cannabis businesses. Moreover, the U.S. Drug Enforcement Administration’s decision to keep marijuana on its list of the country’s most dangerous drugs isn’t expected to curb that investor enthusiasm. That’s good news for marijuana entrepreneurs seeking funding at a time when many banks and big institutional investors are on the sidelines of MJ financing, given that cannabis remains a Schedule 1 controlled substance. On the flip side, Tuatara’s deal – announced last week – may even stoke interest among institutional investors in the cannabis industry, said Steven Gormley, CEO of 7th Point, a canna-centric investment firm in New York City. Tuatura, a New York-based private equity firm, raised the $93 million from about 100 investors, mostly individuals. Tuatara originally had planned to raise $80 million, meaning the firm surpassed its goal by about 16%. 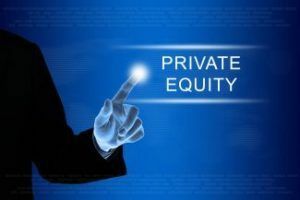 The amount is significantly larger than the $75 million raised by cannabis-focused private equity firm Privateer Holdings early last year. “Investors are definitely getting more comfortable with cannabis companies. Banks still are not,” said Tom Quigley, CEO of The Gluu, an online B2B marketplace in Tampa, Florida, which serves marijuana companies. In fact, Jacobs speculated, “a lot” of existing investors may prefer that marijuana is still a Schedule 1 controlled substance – at least for now. “If it gets rescheduled or becomes legalized, then instead of having 10 or 20 competitors, they’ll have hundreds of competitors,” Jacobs said. That lack of widespread competition is good news for cannabis-focused investment firms like Tuatara. They gain a greater share of the rapidly growing market to themselves, and more leverage in setting the terms of their investment deals. Tuatara launched in 2014. Last year, it completed a fundraising round of nearly $26 million. The investment firm already has invested in two companies. It was the lead investor in Willie’s Reserve, the cannabis brand named after country music legend Willie Nelson. And it was an investor in Teewinot Life Sciences, a Florida company involved in the synthetic production of cannabinoids. The firm plans to build a portfolio of about 10-15 high-growth cannabis companies in the research and testing, cultivation, processing, consumer and retail sub-sectors. Tuatara executives said they would not give their portfolio companies the money all at once, but instead disburse it at various junctures in their growth. “Our goal is to position ourselves as a long-term partner with our portfolio companies. And being a long-term partner, we’re going to need to provide capital across different stages of growth,” Foreman said. Foreman added that Tuatara plans to spend the money within two to four years. The news was hailed by industry investment analysts as a major breakthrough. “What you’re seeing is just the beginning, as $93 million is just a drop in the bucket as far as how much will need to be invested in order to build the infrastructure for this industry,” said Leslie Bocskor, president of Electrum Partners, a cannabis investment analysis firm in Las Vegas. Deals like this, he noted, are no longer exceptions, but becoming the norm. The Gluu’s Quigley noted the MJ industry saw an increase in investments after Privateer’s announcement last year that it had raised $75 million. Will the influx of capital also make it easier for entrepreneurs seeking capital to get their ideas off the ground? Much will depend on whether these upstart companies have a genuinely viable business plan in place. There are enough stories of past investors getting burned in the cannabis space to make today’s investors more cautious than before about how they wager their money. Jeanne Sullivan, president of investment analysis firm Sullivan Adventures, agreed. Congrats to Tuatara. But wasn’t the goal $100m? Cannabis now is very similar to what the internet was in 1995-1996. It is still early for real investors but 2-3 more years and investors will be throwing all their money at anything that smells of cannabis. (pun not intended) The only difference is that the internet then was all smoke and mirrors and no real infrastructure and why it burst in 2000. Cannabis is an ideal product. It is a consumable, that people want and are willing to pay cash money for. Some see it but for the majority they are still blind or afraid. You don’t make money in this industry from fear but rather due diligence and discipline. Phenomenal reporting, Omar Sacirbey. Thanks again for so many nuggets of knowledge! Willies Reserve didn’t even have a staff until recently as per their internet advertising for staff. Seems like the CA Gold Rush. Many Want to plunge in but Few will succeed. hard to believe investors putting money into start ups with no history.